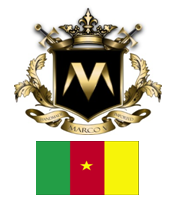 The first retailer ever to carry Marco V Cigars was the nationally recognized and prestigious Stogies on Grand located on the historic Grand Avenue in St. Paul, Minnesota. In honor of Stogies on Grand, Marco V Cigars has launched an incredibly exclusive cigar only available at their shop. The cigar is a super aged vintage blend of our Dominican La Canela tobacco wrapped with a rare Cameroon wrapper. Stop in at Stogies on Grand and get your hands on this rare, fantastic cigar while they are in inventory and celebrate the shop that kicked off the Marco V brand!